Employment of CNAs is expected to grow faster than the average for all occupations through 2018 in response to the long-term care needs of an increasing elderly population and changes in healthcare. The high rate of turnover in the industry will also be a major source of new job openings as many workers leave the occupation for a different career or advance to positions in nursing following further study. Long-term care facilities and nursing homes are the largest employers of CNAs as the number of older persons in need of continuous care increases. 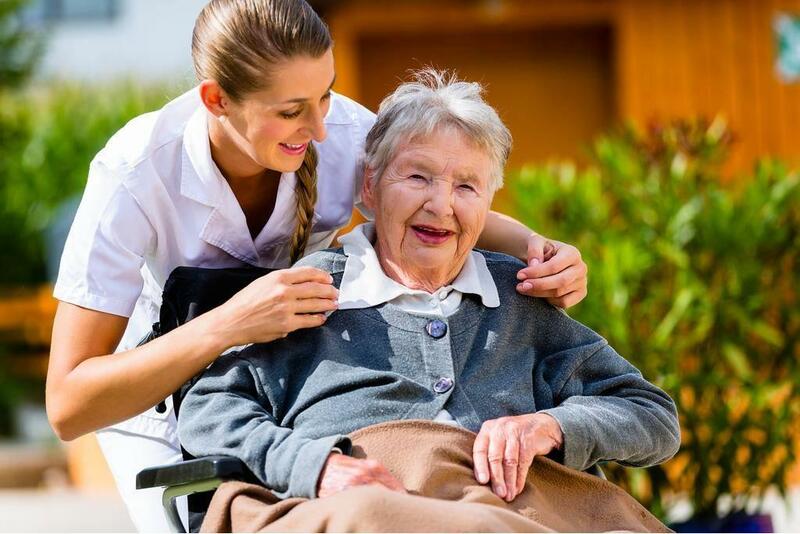 Apart from caring for the limited mobility seniors, CNAs will also care for the increasing number of persons who need rehabilitative care after being discharged from the hospital. Consumer preference for ongoing care in their homes will also contribute to an increase in employment in home health care. The California Department of Health requires all prospective CNAs to complete 160 hours of combined classroom and clinical training to take the state competency for listing on the Nurse Aide Registry. The CNA training program at Coast Career College prepares students for entry-level work in an acute care setting or long-term care facility. The seven-week course comprises of classroom instruction followed by a clinical experience in a community health facility. Students learn the essential duties of a certified nursing assistant, including how to interact with patients, provide for their needs, monitor and assess their state of mind, and assist with the activities of daily living. They also receive training in preventative care measures, drug interactions, and diagnosing and treating injuries and common diseases. To qualify for enrollment, you must complete the application packet, take a physical exam, complete a PPD test, and obtain a valid CPR provider card. All applicants must demonstrate their ability to read, write, and communicate at a high school level. Knowledgeable instructors and a detailed curriculum at Summit College help nursing assistant students succeed in the nursing profession. Students receive constant support throughout the 3 to 4-week program. The course comprises of 92 lecture hours, 20 lab hours and 108 clinical hours at a skilled nursing facility. The total session amounts to 220 contact hours and 14 credit hours. Day, evening and weekend classes are available; the class schedule defines the duration of the program. Key topics include patient safety, nutrition and hydration, communication techniques, use of medical equipment, maintenance and mobility, principles of safe and effective care, and psychology of patients. Summit promises personal attention, excellent, modern facilities, career service support, and free tutoring services from the Learning Academy that is open 6 days a week. Tuition for the program is $917 plus $73 for books and supplies. Graduates are eligible to take the state’s nurse aide competency exam for inclusion on the Registry. The 10-week nursing assistant training at Qbis Career College equips students with the necessary knowledge and skills to succeed on the California State board exam for employment in long-term care. Applicants must have a friendly and positive attitude, a high school diploma, a health screening report (including a TB test), a valid picture ID and Social Security Card, and the non-refundable registration fee. Students applying for the winter sessions must obtain a flu shot before beginning the program. The program covers 50 classroom hours and 100 clinical hours. Full-time students complete the program in 5 weeks, and part-time students should allow 10 weeks to complete the blended classroom/clinical curriculum. The total cost of attendance is $1,700 and includes CPR, textbook, uniforms, school ID, stethoscope, gait belt, blood pressure cuff, live scan, state certification exam, and medical supplies. Qbics accepts students referred by CAL Works, TAA/TRA, WIA One-Stop Centers, and Workers Compensation. Following is a list of Board-approved CNA training providers that facilitate programs for high school students only.